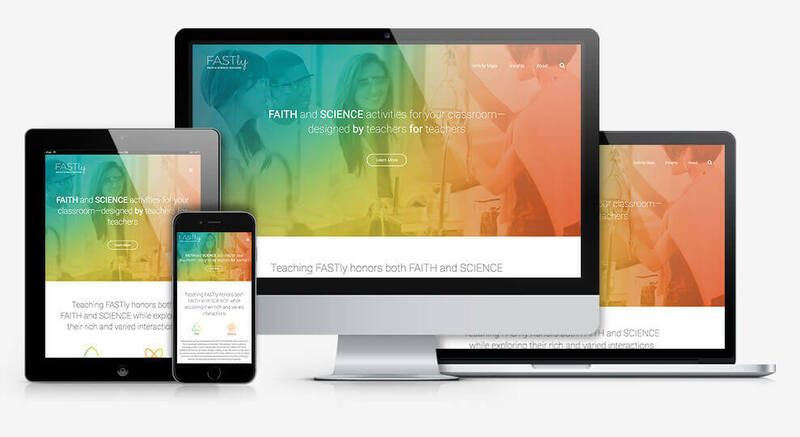 FASTly Faith & Science Teaching | Kmotion Design Inc. Teach FASTly (Led by The Kuyers Institute and The Colossian Forum) honors both faith and science while exploring their rich and varied interactions. This site includes a large collection of teaching activities, training materials, background essays, book reviews, and more. This website provides a wide range of teaching and learning activities organized in ready-to-use activity maps linked to practical strategies for helping students engage fruitfully in learning about faith and science. "We're receiving very positive feedback from teachers, most of whom are pleasantly surprised that an educational website can look this good and function this seamlessly." Each Activity Map provides the user with an Overview of the lesson with Activities broken up into Discover, Delve, and Debrief categories. Activities set the stage for the topic and get students thinking, while promoting more extended learning as the lesson unfolds and inviting reflection to bring thoughtful closure to each study. The teacher can navigate though the different activities with the helpful Activity Map Outline, as well as access helpful Downloads and Strategies to enhance their lesson.